I find that current revenue models in advertising need to be reevaluated. 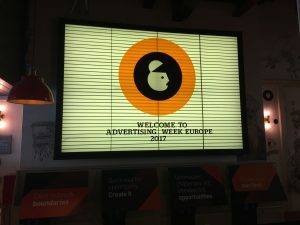 20th to 24th March, the world’s brightest minds of the advertising, technology and communication gathered in London for the annual Advertising Week Europe event. It was a week of deep cultural immersion and invigorating thought leadership. It was quite an experience coordinating the Africa Segment. Summaries of the sessions can be read on Huffington Post – here and here. Advertising as we know it is evolving, it seems almost impossible to talk about advertising these days without talking about data, technology, content or even AI. This is also true in Africa where mobile is the driving force for making connections, creating a parallel infrastructure and innovation. 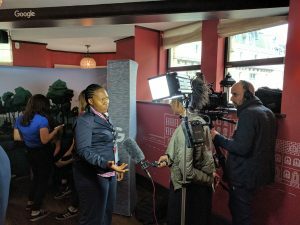 With advertising we tend to deal in intangibles; ideas, people, culture – but the effects and impact on people, business and culture can be really profound. How do we then put a price to these intangibles? How do you quantify the impact of a rebrand (design) on the valuation of a company, or the impact an influencer like DJ Khaled had on the adoption of Snapchat which some would argue can be linked to Snapchat’s current valuation, how do we really pay for creativity, design, ideas which sometimes can sound really simple but could be the difference between extinction and survival? I feel deeply that if revenue models in client/agency relationships do not evolve, the industry runs the risk of losing her best minds to parallel industries. After all, the currency remains ideas and the resource of time remains limited. In Nigeria, it’s already happening. Some of the best minds can no longer tolerate the long hours for low pay coupled with the lopsided authoritarian relationships some clients run. They’ve moved to creating great content, platforms, incubators or new markets. 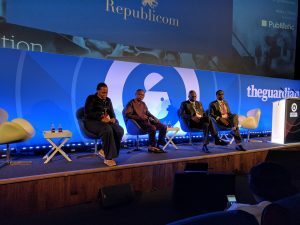 We need to start a collective debate on renumeration in advertising in Africa, starting with Nigeria. It shouldn’t be okay for us to be the largest African market for most brands but one of the least paid. I believe there must be dignity in labour and at the moment, it doesn’t “feel” like that. I’d like to know what you think about this?